The big show this past weekend was one of the best I've attended as I tied all weekend long alongside a couple of good friends, and lots of other friends, old and new, stopped by to watch us tie flies. I got to catch up with some old friends, and all of us managed to create some general mayhem and laughter. My presentations were very well attended, I signed a boatload of books (I thought that would start to wane but I signed as many as I ever have), and got started on the making of a fly tying video to be out later this year along with my next book. Life is good. I must have tied a hundred flies and gave most of them away......it's kind of show and tell and then give the guy that asked the most quesions the fly you just tied as a sample. Or if there's a little kid watching, it goes to him or her. 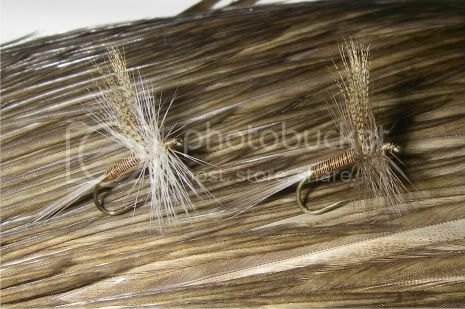 Here's a couple of Red Quills I tied, one with light hackle, and the other with dark hackle. Both will work like a charm. 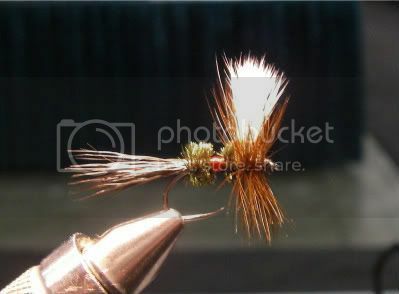 And here's a Royal Wulff I tied on a Czech made hook. The fly is going to be mounted in a shadow box and auctioned off to raise funds for the Federation of Fly Fishers. I'll be writing more soon on these hooks and showing other patterns tied on them, and where you can buy them. They are well made, sharp and they even look pretty wicked with that circle point. Can't wait to fish them and report back, I hear they are as good when fishing them as they are in the tying vise. 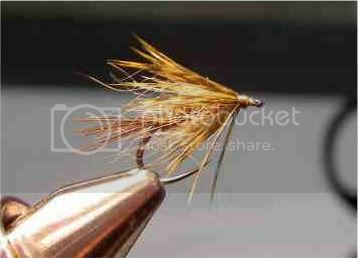 And here's a soft-hackle Hendrickson emerger, also tied on a Czech made hook. That's all for now, got to listen to President Obama-lama-ding-dong give his annual speach. Maybe he'll bring Speaker Boehner to tears, not that that's hard to do...........I just noticed, Speaker Boehner doesn't blink........and Obama is the only one in the room without a ribbon on his lapel for Rep. Giffords. In the meantime, sharpen your hooks and laugh with your friends every chance you get. I wish I could tie wings that looked that good........The pharmacy is out of my meds...oh no!!!!!!! Great to hear you had a good show, I wanted to go, but they wouldn't give me leave from the ward!!! Yes, you should have been there. 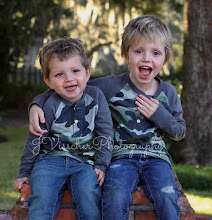 Catfish were jumping and water was flowing. Glad to see you're on your meds, see you Friday.